Joan Miro, Personnage, oiseaux, 1976. Oil on sandpaper, wood and nails. 171,5 x 125 cm. This exhibition of Joan Miró arrives in Mallorca after travelling to Seoul, Bologna and Turin and it offers a series of keys to the artist’s inner spirit and way of thinking. No real insight can be gained without mentioning his strong attachment to his roots and to his identity, factors which had a very direct impact on his work. Miró had deep-rooted ties to two places: Mont-roig and Mallorca, where he could live and work in privacy, immersed in unspoilt natural surroundings. Through the exhibition we will explore the roots of Miró’s work: primitive culture and popular art, Romanesque frescoes, Antoni Gaudí’s architecture, poetry, and his subsequent approach to American Abstract Expressionism and Oriental art. Lastly, we will discover his creative fecundity through his plastic imagination, his singular use of imagery and the variety of techniques and materials, all of which bear witness to the insatiable desire for renewal and innovation that characterized his final stage in Mallorca (1956-1983). This is a moment when he turns the gaze to his beginnings, to the landscapes and horizons of his first years. At the same time he reaches the maximum simplicity in the predominance of the empty space and closes the creative cycle with the return to the same roots that had marked the starting point. 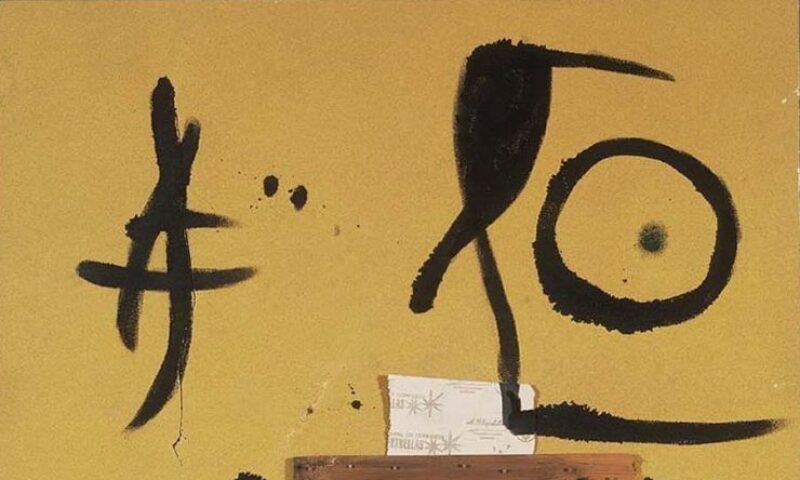 The exhibition “Miró, a wild spirit”, narrated in the first person, is based on all the above concepts, together with Joan Miró’s conception of his work as a kind of inner monologue and, at the same time, a dialogue with the public. It is divided into four main areas of a separate and yet complementary nature. The exhibition contains works produced in Mallorca during his most dynamic mature stage as an artist —the most innovative and “wild” and yet lesser-known period—, which defines the collection of Fundació Miró Mallorca.